These are three mechs I have been working on over Xmas, lined up for their base coat in the spray booth. They arrived Xmas eve and almost eclipsed the build up of excitement for Xmas! They are being based on 60mm Hex bases from warbases.co.uk. 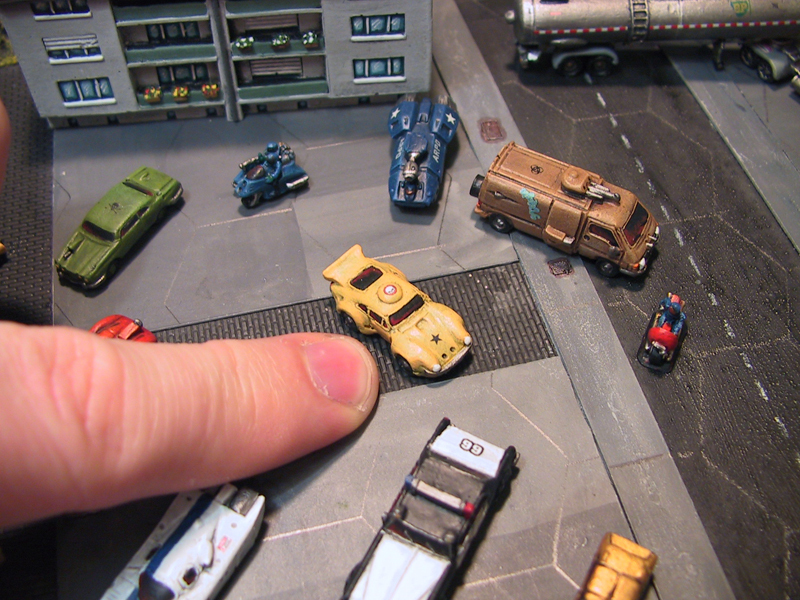 Made from MDF they are 2mm thick and perfect for a standard size for these larger mechs. At the time of writing this article they are $1.60 for six of the 60mm hex bases. Follow the link for details. I used the usual texture gel and sand mix with a couple of chunks of spare junk from the bits box to add detail to the bases. I will post progress as they make it through to being painted and weathered. 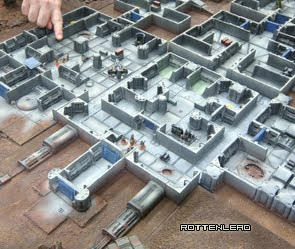 This is the Hex base up close. I also have some 15mm Artillery which is underway and placed on some resin bases from Kerr and King. Looks good - is that a not-Thanatos I see? and who makes the one on the left? It is a Thanatos, an earlier garage sculpt which was a limited run I think. @Scream: Thanks for signing up, drop a note in with any questions. damn..is the Thanatos still available? my two Hellhounds turned up today...and are excellent. Damn, I need some of these GZG guns to resemble towed support guns for my Battletech/TW conversion. Another Mech or two wouldn't be bad either. Robin, you wouldn't by any chance have a list of what Orko and Elfbait have created so far? I wondered if you have any Rebel Minis that you could place next to a GZG miniature for a scale comparison? PS: I am a huge fan of your work! Keep it up! @Sgt: All of Orko's work are garage based, so they are not available for sale accept when they are produced in limited runs. I think the Hellhound is now gone out. I don't have a list because even with Orko as a friend I don't get access to the back catalogue because he simply does not have any to sell :(. The full release of Gruntz is going to have considerable Mecha content (not Battletech) but I think you might like them, I noticed you have been putting similar cards together on your site for TW. I will keep you posted. Thanks, Robin! Tell Orko I admire his work! If he's ever going to put together another model for a limited run, would you tell me, please?